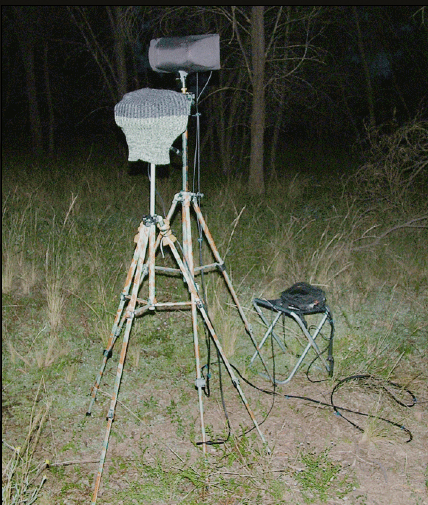 Having investigated budget-style lightweight DIY SASS and binaural head designs (see page ‘recording gear 1’), I next looked at pro-quality lightweight DIY SASS rigs, using a pro recorder with pro mics coupled with home-made foam rigs. Best results would come from using a Sound Devices 702 recorder which has less noise than the Olympus LS10. Sennheiser MKH 8020 omnis are very lightweight and excellent quality mics, better sounding than MKH 20s and with less noise. 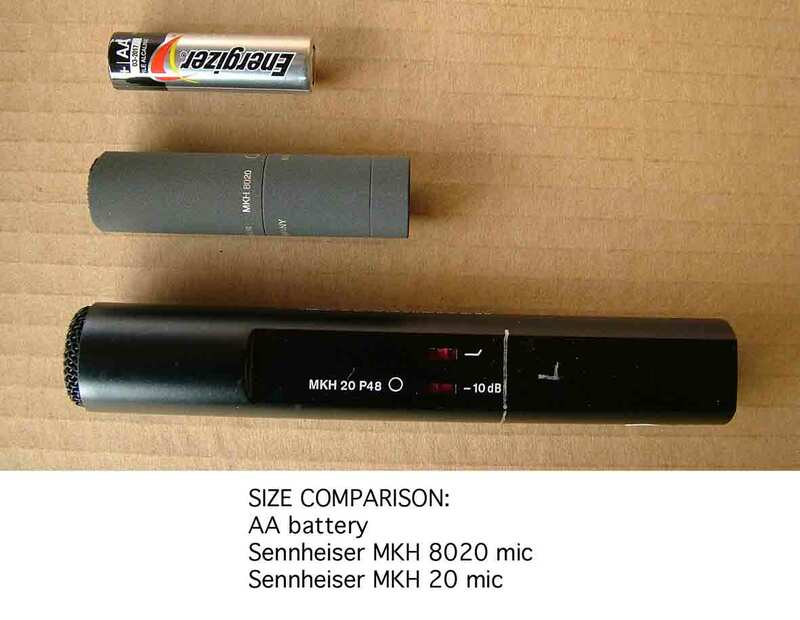 An 8020 mic connected to an XLR plug is about the size of a large texta marking pen, and weighs not much more than an AA battery. Are MKH 8020s suitable for SASS? One drawback to the 8020s is that the mic element is set 5 mm inside the mic housing, rather than flush with the surface. 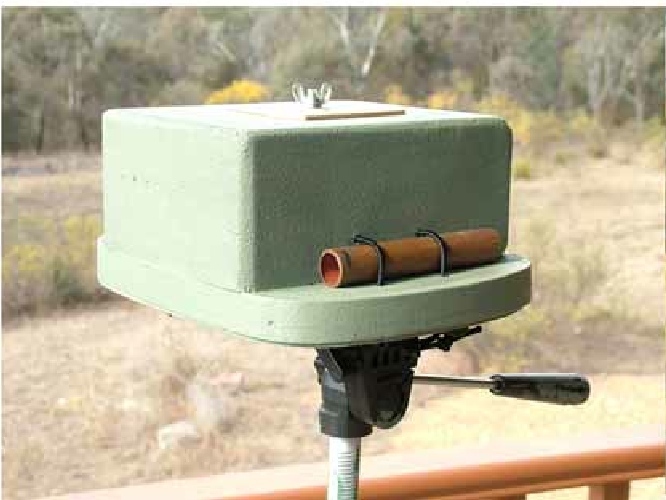 Ideally, for SASS mounting the mic element needs to be flush with the boundary surface. However it has been pointed out to me that yes the 8020s will work in a flush mounted boundary. I also looked at other ways I could mount these 8020 mics. Binaural would work, so would Jeklin disk, so would various block-head and spaced-array designs. 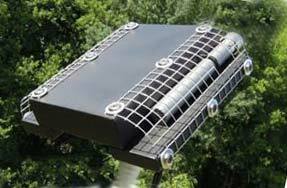 Curt Olson has been working on a DIY design for some years now, and his latest design is known as the Olson Wing (pictured). I made one in foam and the 8020s sounded very good in it. Curt Olson’s Wing, with AT 4022 mics and windshield, mics are 2 inches from front. 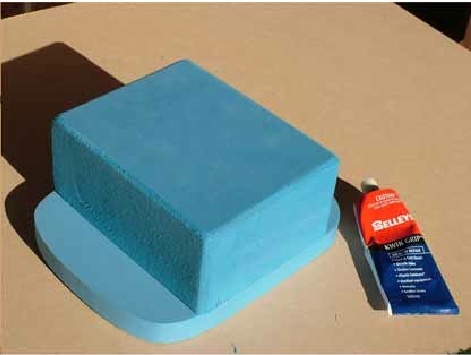 Vicki’s foam Wing during construction, using Yoga block and floatie, closed-cell foam. showing how the mics will be attached using bungee cord, and how the rig is attached to the tripod with a long bolt. A lycra windshield and beanie will go over the top. 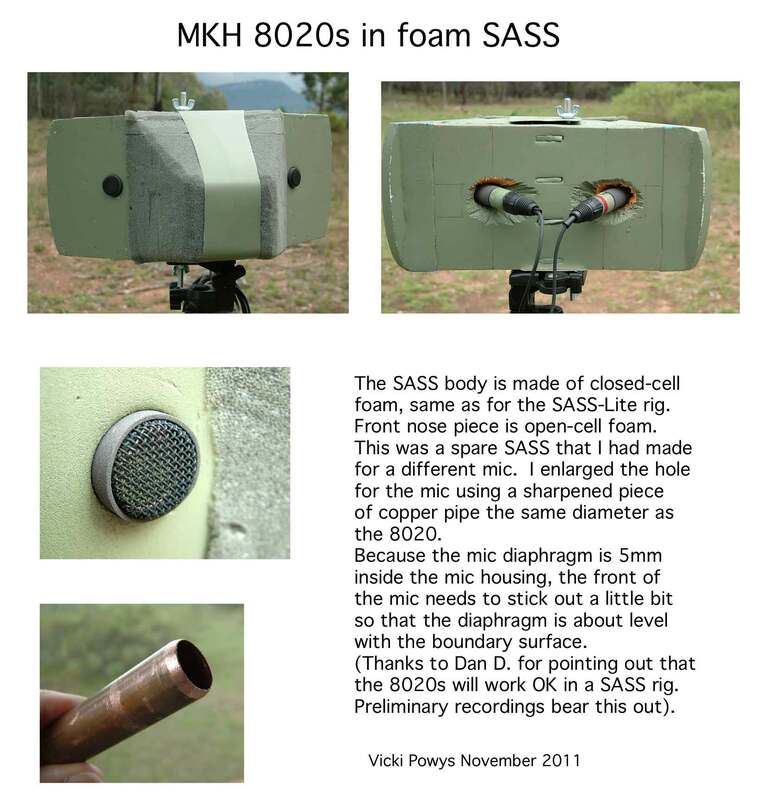 Rob Danielson on the boundary mics group blog [no longer existing in 2017] compared a larger version of his DIY SASS with the Olson Wing, both rigs using AT3032 mics, the results showed that the SASS design was a little more spacious sounding, with better localization and wider image. The stronger presence of the (lower pitched) owls and coyotes in the SASS version is partly due to larger surface of the SASS boundaries (approx. 10 x 10 inches, whereas a standard SASS boundary surface is approx. 5 x 4 inches.) But good localization and image width does seem to apply to all SASS recordings generally. These are Rob’s sample recordings in mp3 format, recorded in the USA. (there are several simultaneous sound samples. After listening to Rob’s test, I wondered if I could improve on the Olson Wing to add some spaciousness. If the mics were angled outwards, would this help to make the stereo image better? I experimented with angling the mics outwards, using a makeshift Rotateable Wing with MKH 20 mics to compare parallel and angled positions. The angled position did give slightly better localization and width. Recording by Vicki Powys of Yellow Robins pre dawn, first 3 calls are parallel, next 3 calls are angled out (consecutive recordings rather than simultaneous). There is not much difference, but 2nd lot of calls have slightly better positional clarity. Here is another longer example, first 32 seconds are parallel, next 32 seconds are angled. Recordings are consecutive rather than simultaneous. There is a very slight but discernable difference, with the angled sound being more spacious when listening through headphones. Did the Rotateable Wing angled outwards at about 75 degrees now match the localization and image quality of the SASS? I compared my SASS Lite with MKH20s angled outwards in the Rotateable Wing. The image of the angled wing was very good but still did not quite match that of the SASS. However, this will be the best match to the SASS that I can make. Simultaneous recordings by Vicki Powys. First half is the SASS Lite, second half is the angled wing – a bronzewing pigeon gives some low pitched calls and flies close to the microphones then lands behind the microphones, a thornbill gives high pitched alarm calls on the left. Other birds call in the background. Both renditions of the scene seem quite satisfactory to my ears. The PAW is a fixed version of the experimental Rotateable Wing. It is solid and compact and has the smaller dimensions of the Sennheiser 8020 mics in mind. Having the mics angled outwards is a compromise, designed to get the best from the 8020s and as near as possible to the spacious SASS imagery. The sound will also be brighter and have less noise than the test recordings made with MKH20s, due to inherent differences between these two microphones. previous tests – is pro-gear worth it? Birdsong recorded by Vicki Powys, pre-dawn, November 2010. 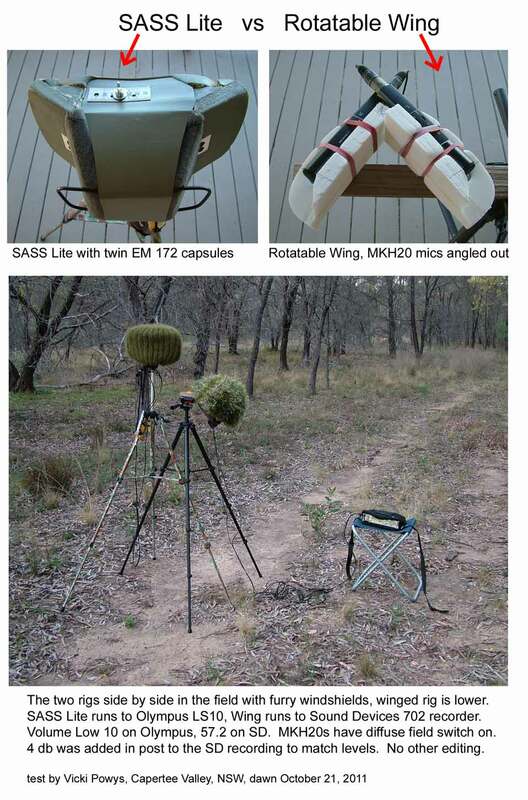 First you will hear the Knapp-modified SASS with MKH20s (diffuse field ON) for about 6 seconds, then the SASS Lite with twin EM172 capsules, continuing on with a number of short sequences compared. The sounds are consecutive and it is not easy to pick which sequence is which. There is only a marginal difference between these rigs. [This test was published on the diystereoboundarymics.blogspot.com in 2010, but that website is no longer active]. Canare L 4E5C is a robust lightweight cable. Half the weight and very good quality is Belden mini star quad 1804A, available in Australia by the metre from Madison Technologies. I find I need a minimum of 6 metres of cable to be able to stand back from the tripod and not have breathing or tummy rumbles intruding on the recording. Another solution is to leave the recorder at the tripod, and then walk further away. 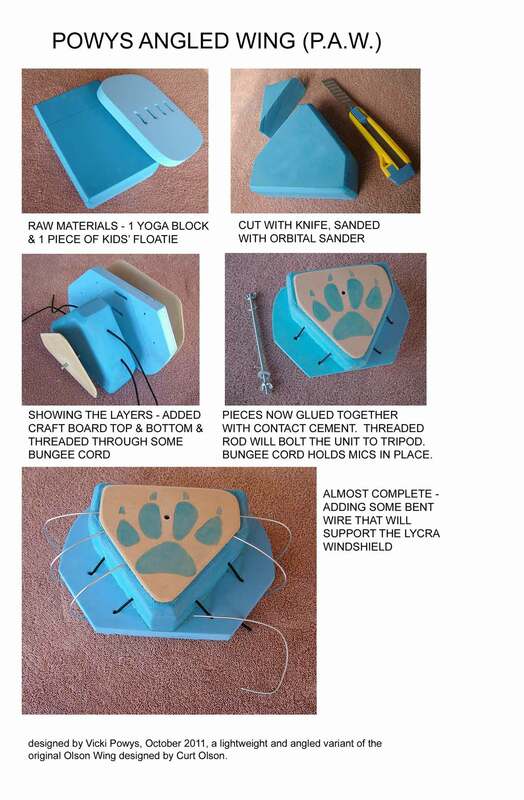 See following pages ‘Recording gear 3 and 4’ for more DIY ideas! This page was originally published in 2011 and last updated 31 May 2017.